(Brussels, November 28, 2018.) Ancient Rome’s success formula was bread and circus. Red Bull’s new formula is (energy) drink and dance! 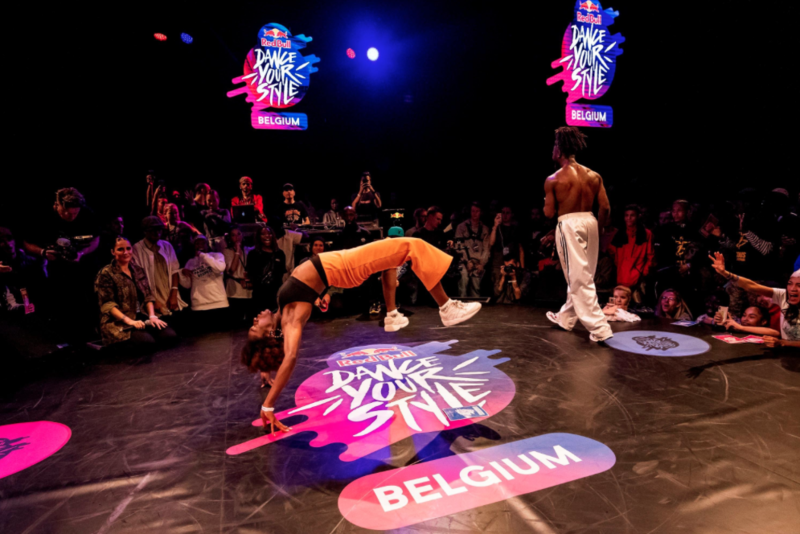 😉 Last November 17th Saturday night, Id International had the honour to design sound & light production to the first Belgian edition of Red Bull Dance Your Style. 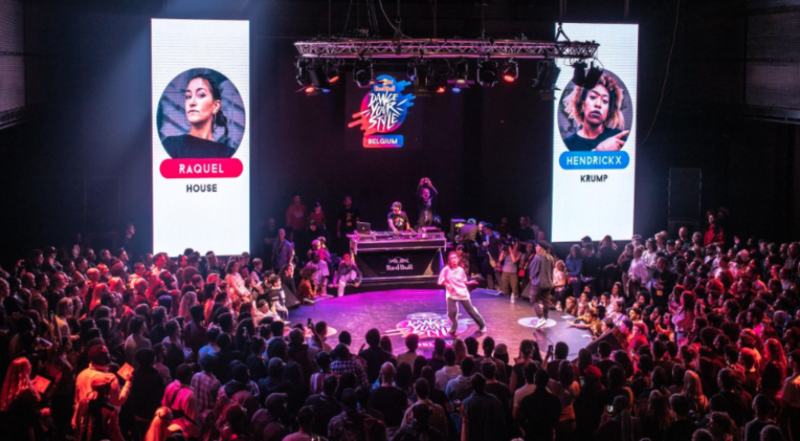 The new dance battle was held on a packed KVS theater in Brussels. An event that got quickly sold out days before. 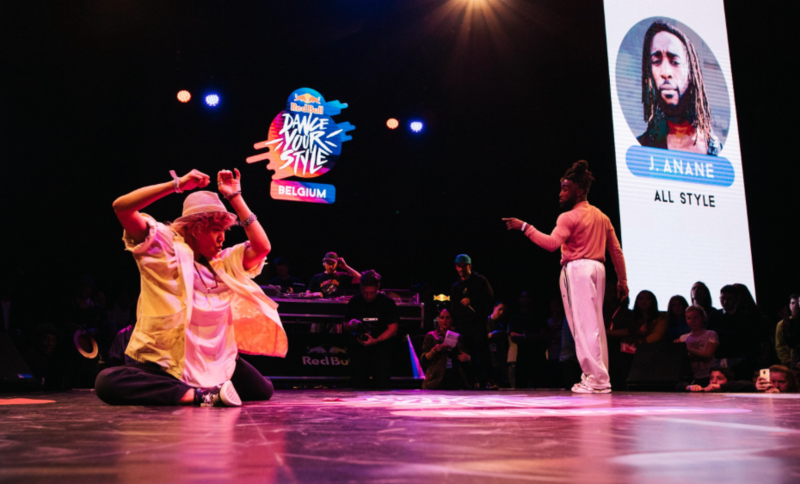 In total, 16 of the best dancers came from all over Belgium to battle face-to-face bringing their own style: hiphop, popping, locking, krump, breaking, house and breakdance. On the mission to perfectly translate this large dance variety into music, DJ Asfalt nailed it. Eclectic, he dared to make crazy mixes such as ABBA, The Beatles, Michael Jackson and Stromae to make the dance challenge fair to everybody. “I usually love to play in Belgium, because here I find an open-minded public that gives me freedom to be creative”, told us the French DJ. “It’s a test for which you have to have a lot of luggage as a dancer,” explained Saho, hiphop dance veteran who was trained by (legend) Poppin Taco and worked as Michael Jackson’s choreographer. The Belgian dance-gladiators displayed their best funky moves in order to conquer the audience. And they were right to do it. 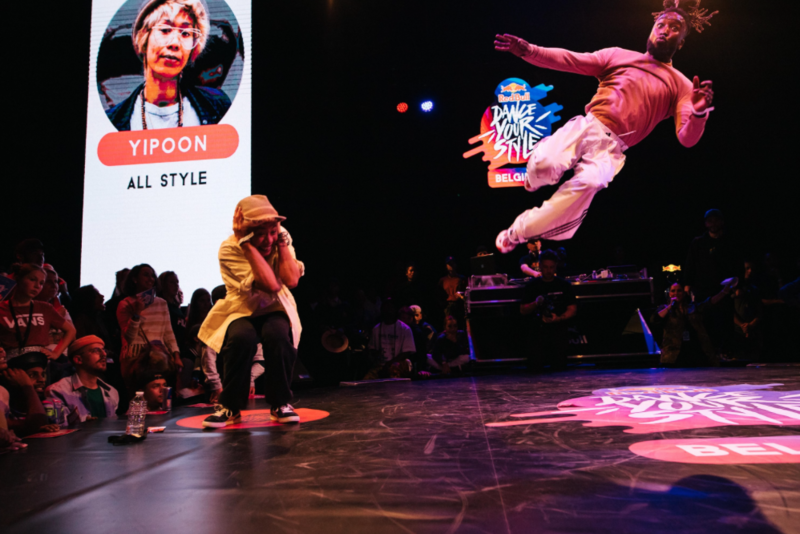 In Red Bull Dance Your Style, the public is the jury. 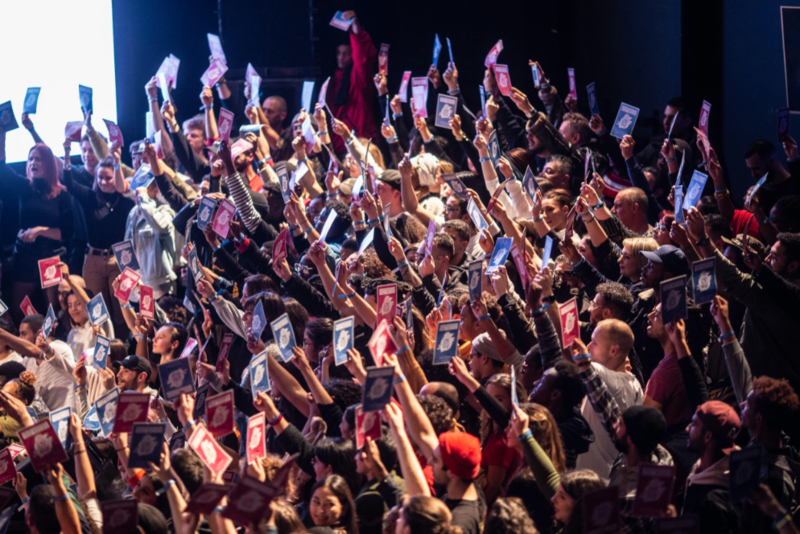 Instead of thumbs up or down as old Roman emperors, the young Red Bull ambassadors had the power on a card in their hands. By switching it to red or blue, they were able to choose the dance performance they liked the most and qualified the dancer for the next round. After 15 amazing duels, the public acclaimed Mavinga as the great winner. The Belgian dancer from Liege enchanted the Brussels crowd with her house moves full of presence and personality. Id International had lights on all dancers, but Mavinga shined a light of her own. She loved the dance battle experience. “I had already seen this event in France, so it’s really crazy to see how our lives evolve and now I win the Belgian edition. The atmosphere was crazy, even cooler than I had thought. All the dancers were of a very high standard and the battles were super cool to do. Believe me, no one will miss this next year!”, said Mavinga after winning the first place. In the semi-finals, Mavinga defeated EmJay, while Joffrey Anane defeated Popping Danys. 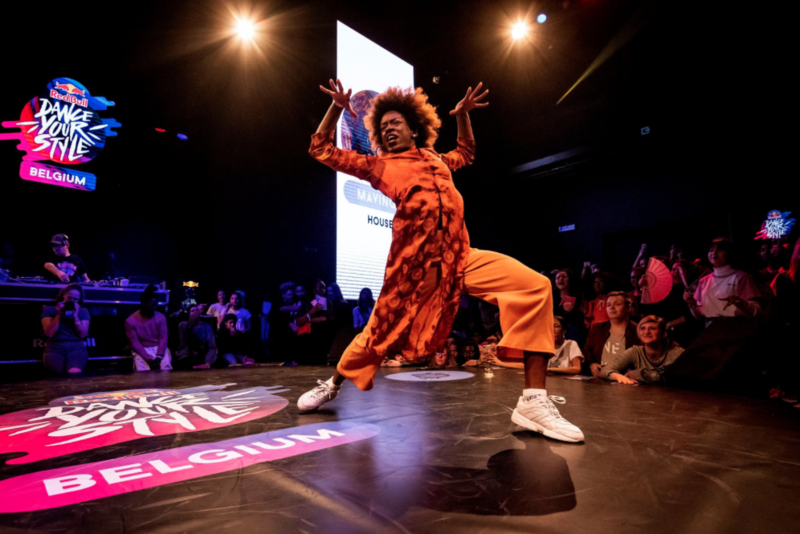 Mavinga had a hard time against Anane during the last battle, but she eventually surprised the public by showing she could also jump high and breakdance. Wanna improve your dance skills, enjoy the Summer and get ready for the next Red Bull Dance Your Style?